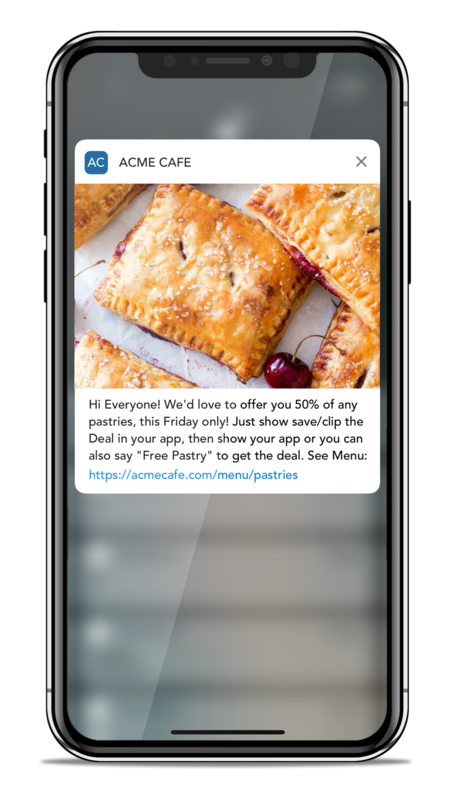 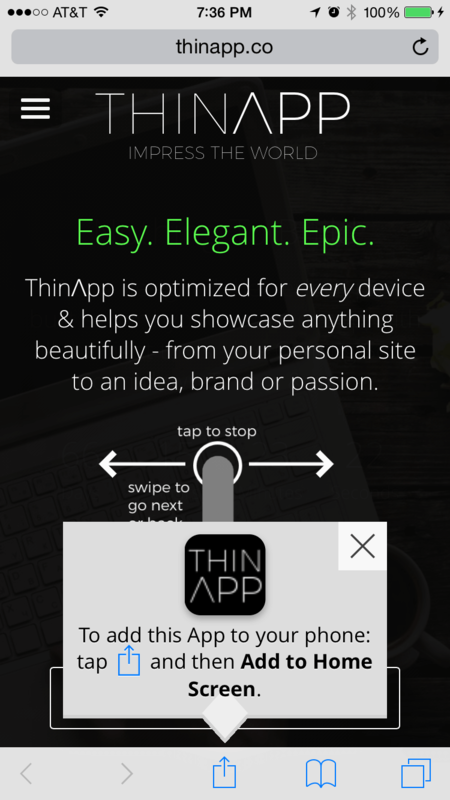 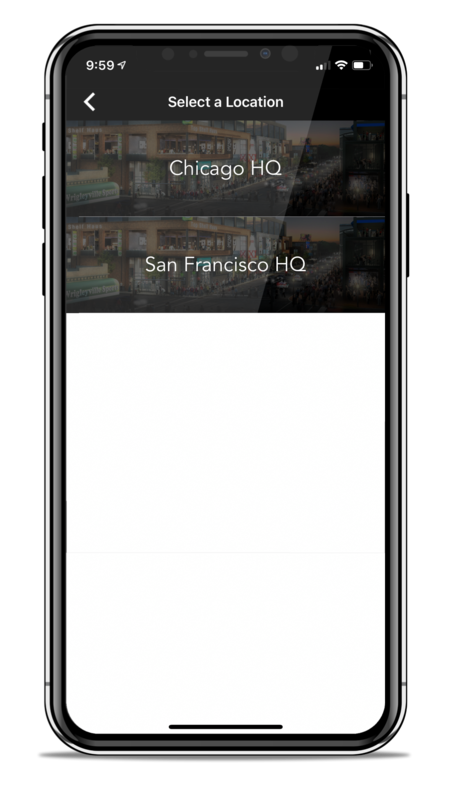 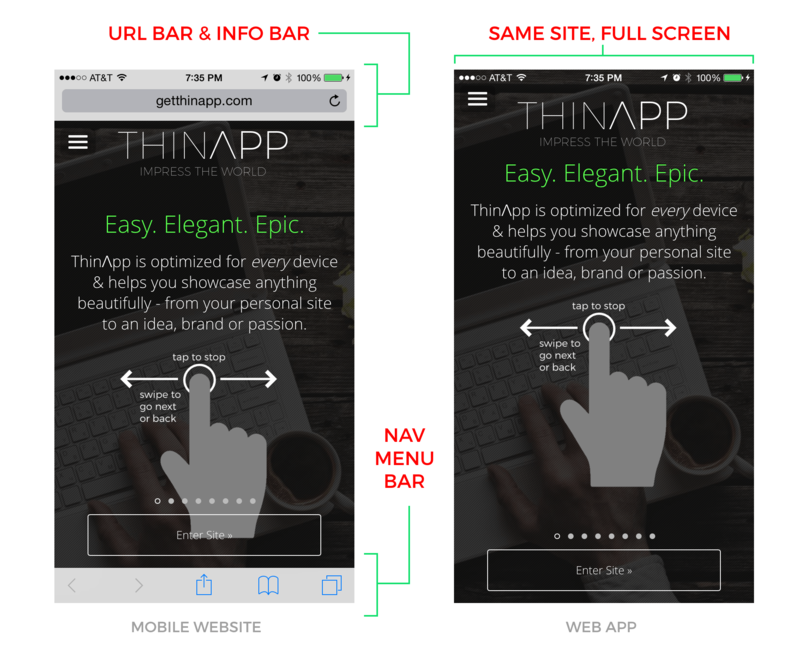 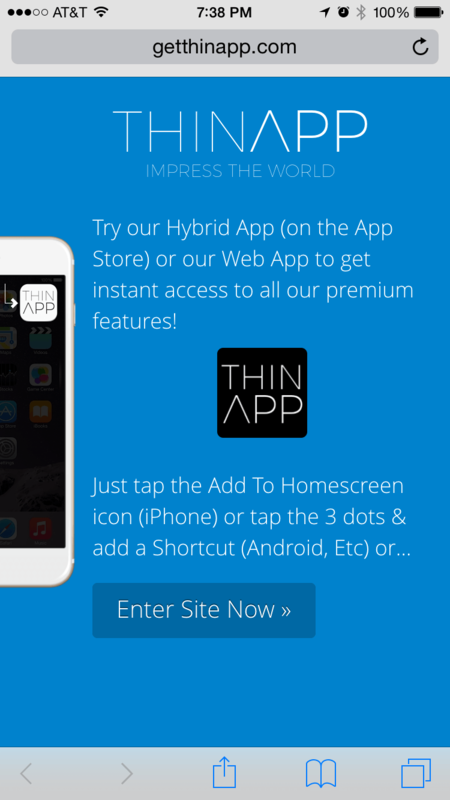 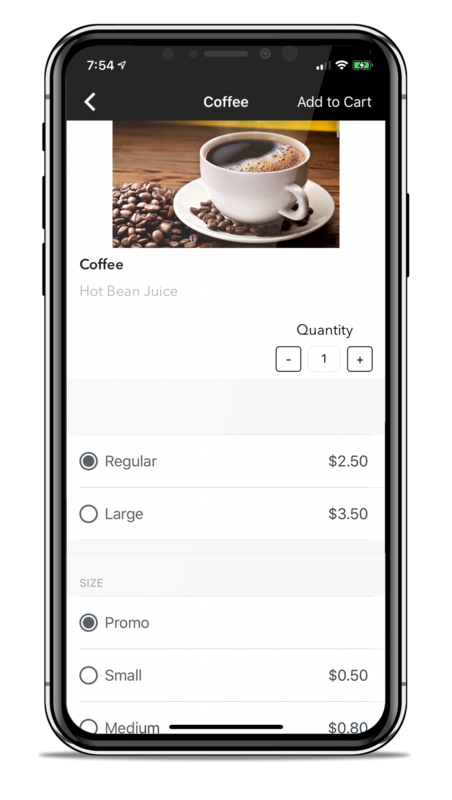 Try a Square-powered App for your Business free! 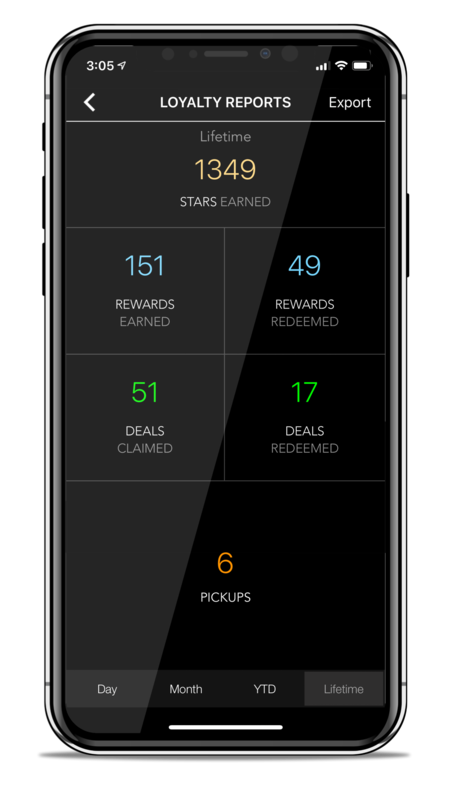 33 reserved - 467 spots left You’re in! 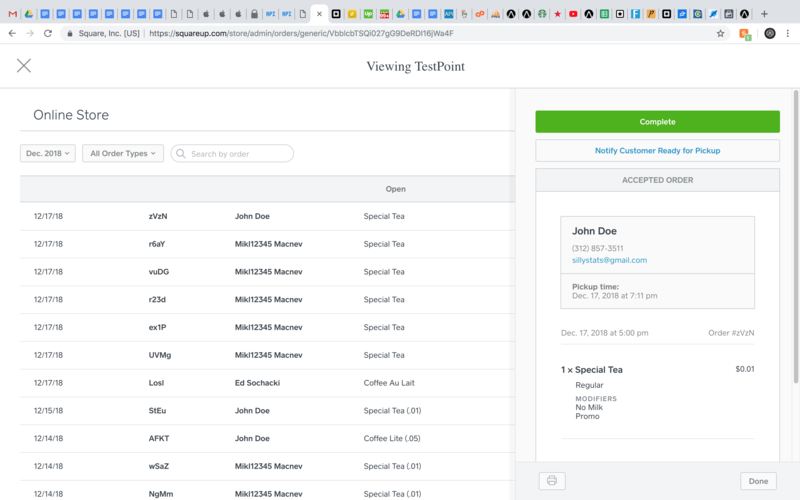 Check your email for your 1-time invite code. 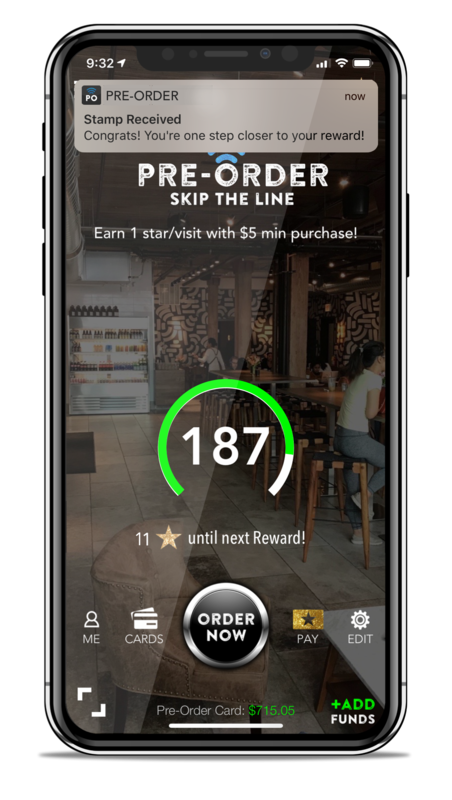 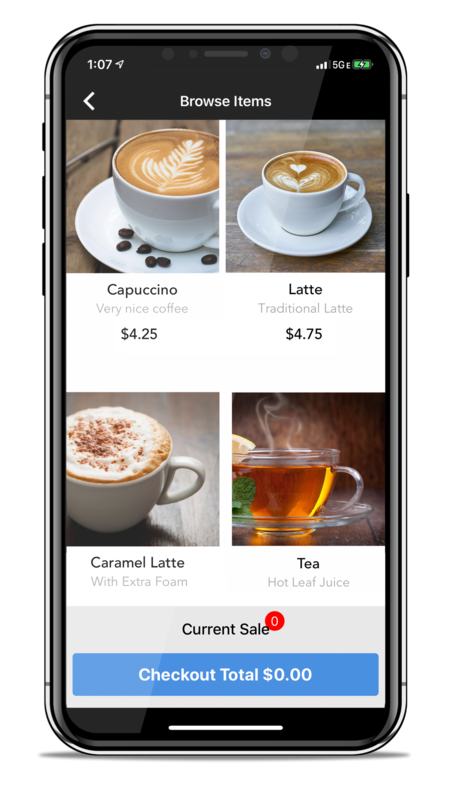 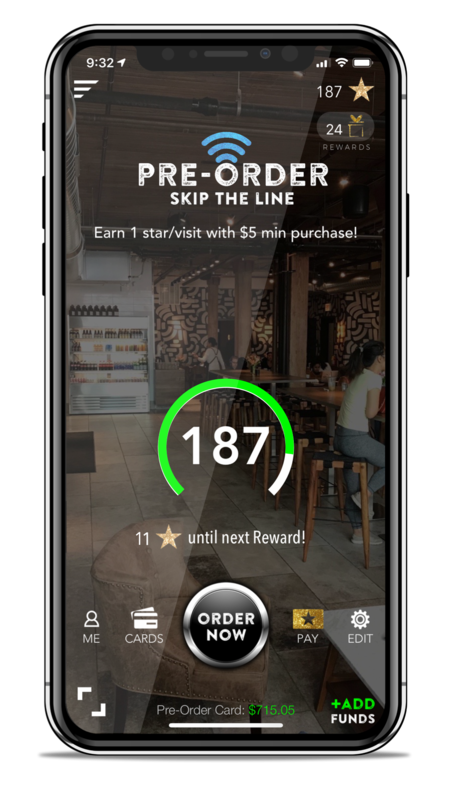 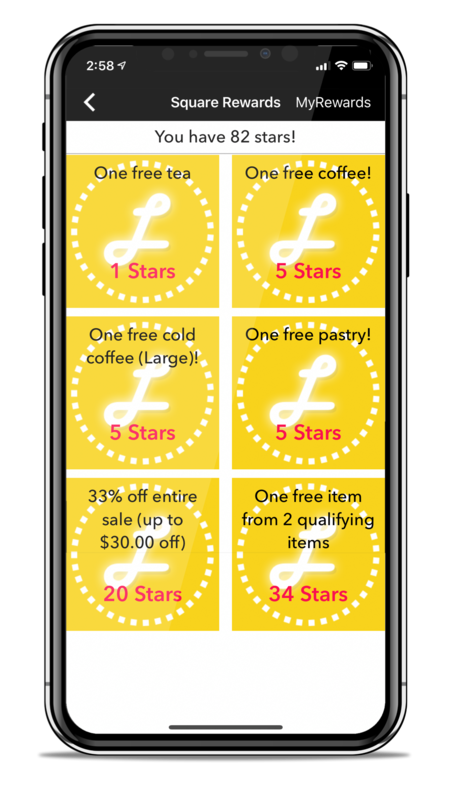 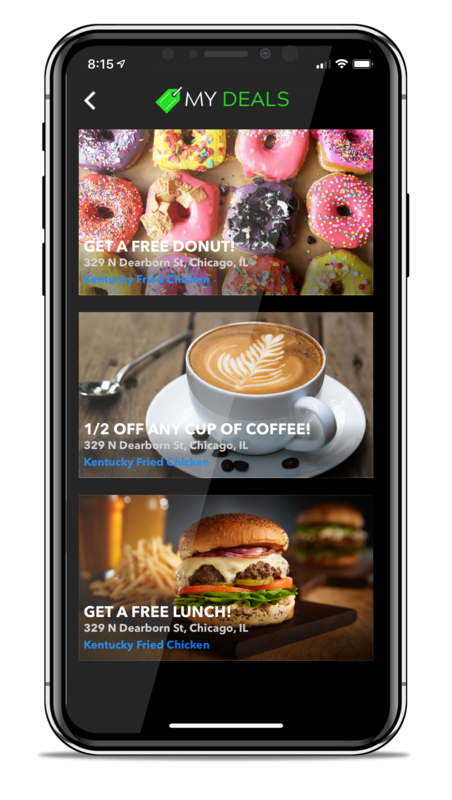 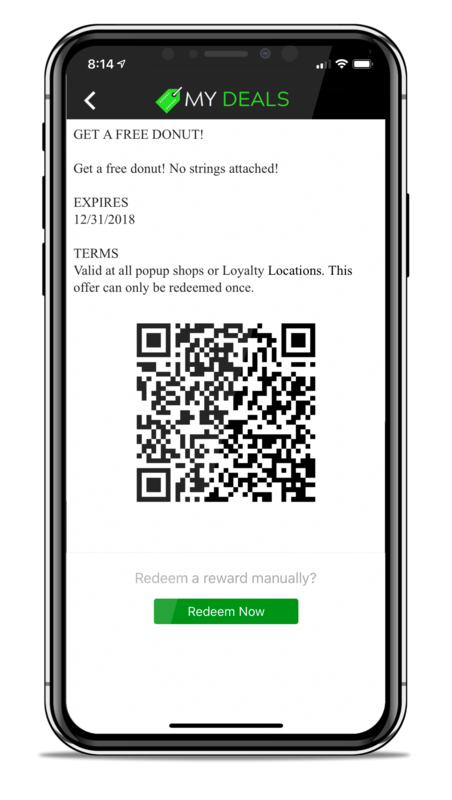 Below is our brand-new, fully-integrated Loyalty Card for Square solution, featuring Loyalty & Rewards (optional), Order Ahead (Pickups), Full Menu Integration w/ Options, Payments (via Square), Manage Cards, My Order History, Custom Order(s) Fulfillment for Mobile (for Square Merchants/Admins), Deals, SMS Text Enrollment & Verification & many other game-changing features. 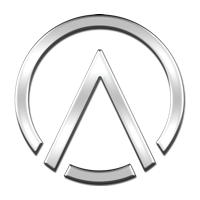 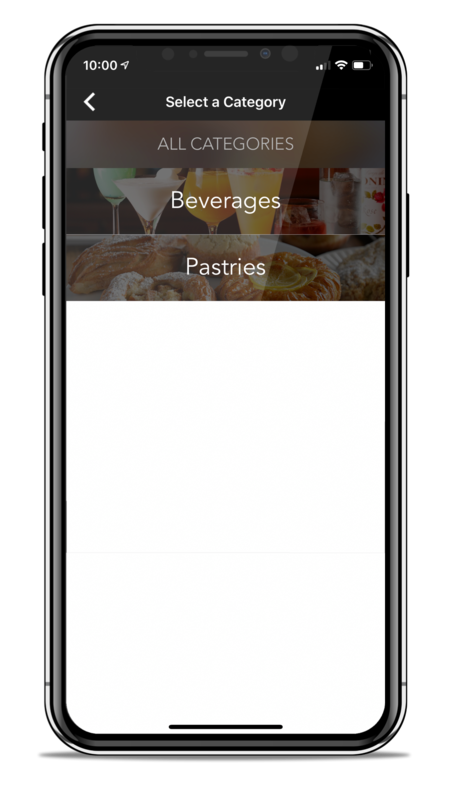 OA4 is a mobile app solution (ie. 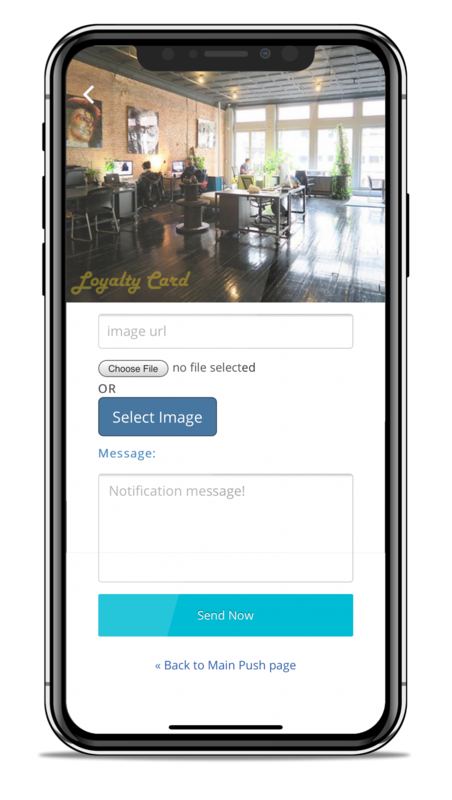 “template”) that we designed to be completely brandable and re-skinnable to any business or brand’s identity, look and feel. 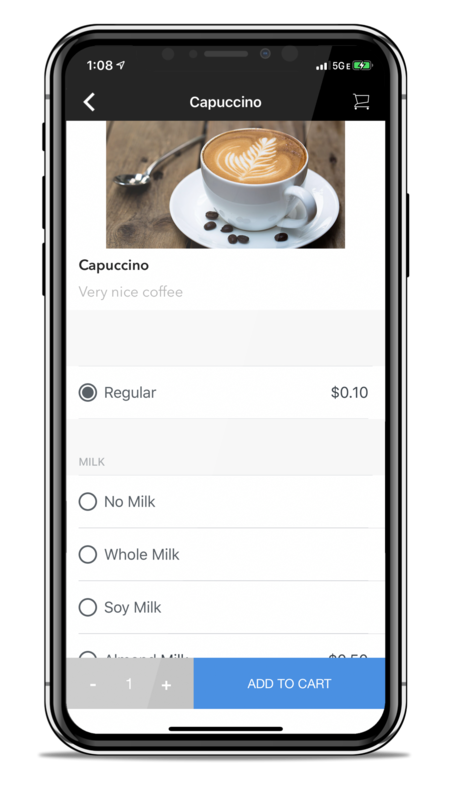 Best of all, it’s fully integrated with Square’s POS (Point-of-Sale) System. 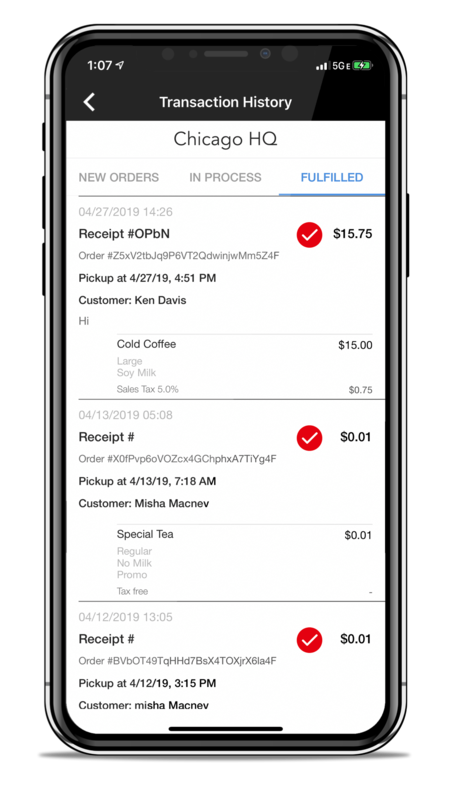 We can connect a new OA4 App to your Square Merchant Account in about an hour flat. 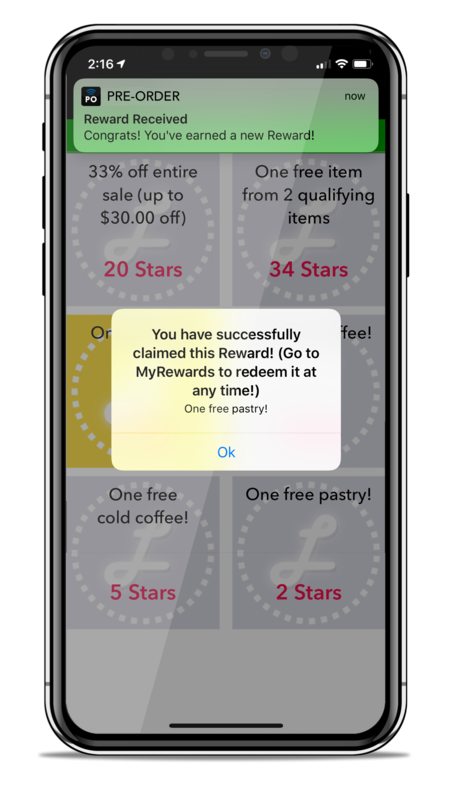 And, it will automatically pull all your Locations, Products/Items, Product Options/Variations, Product Categories, Loyalty/Reward Items, etc. 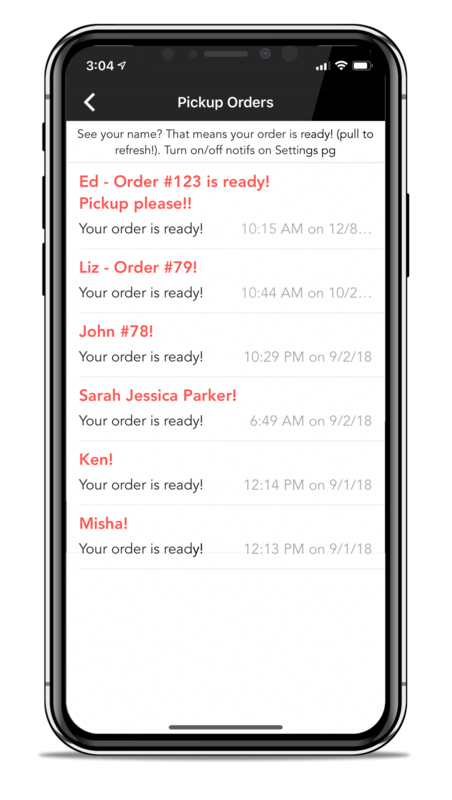 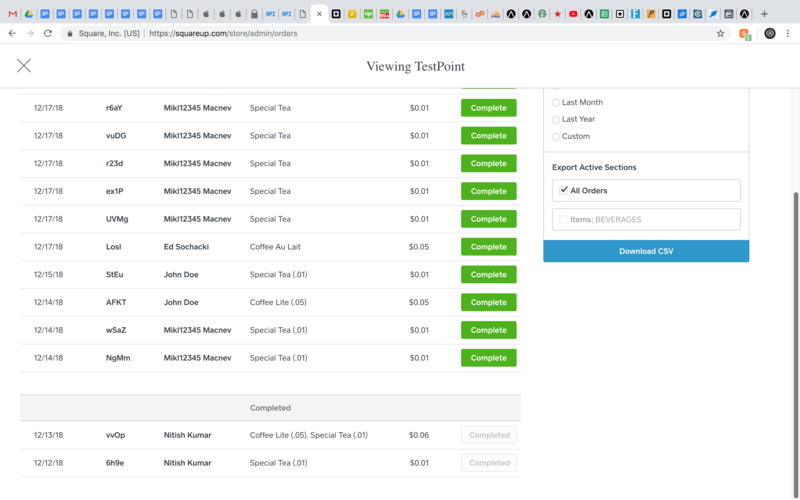 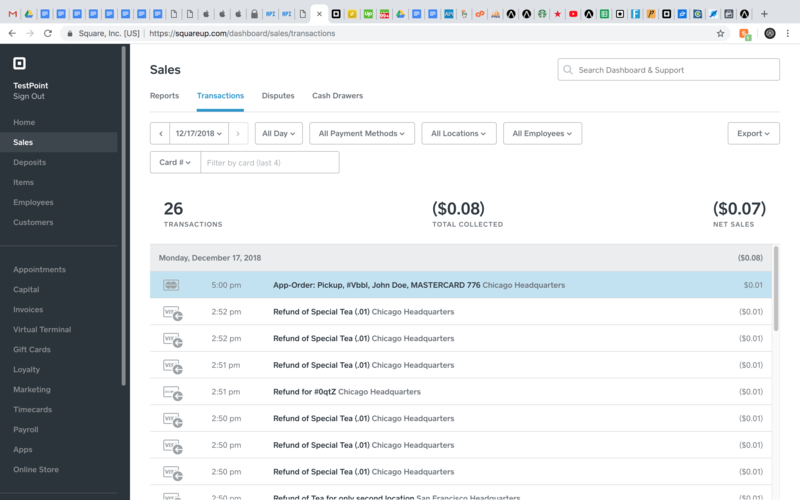 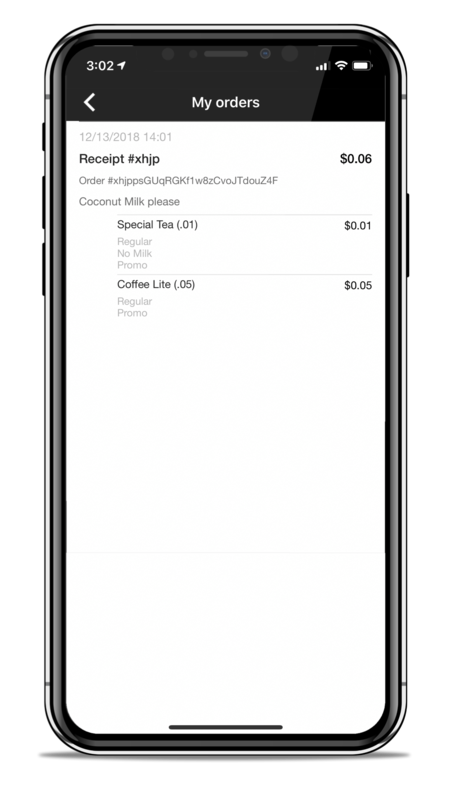 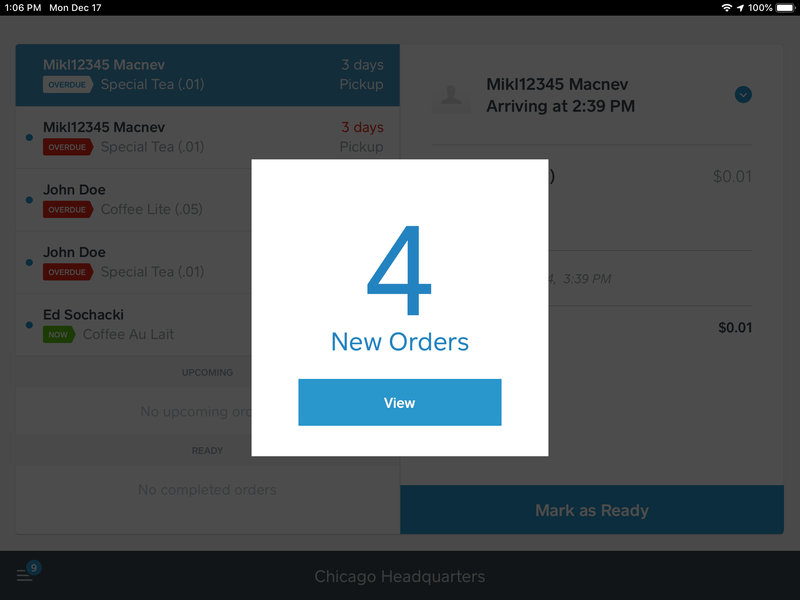 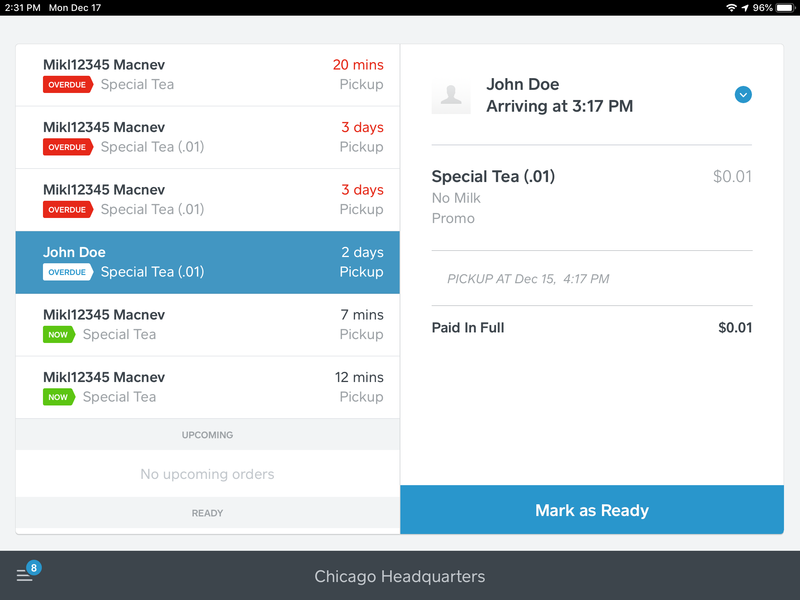 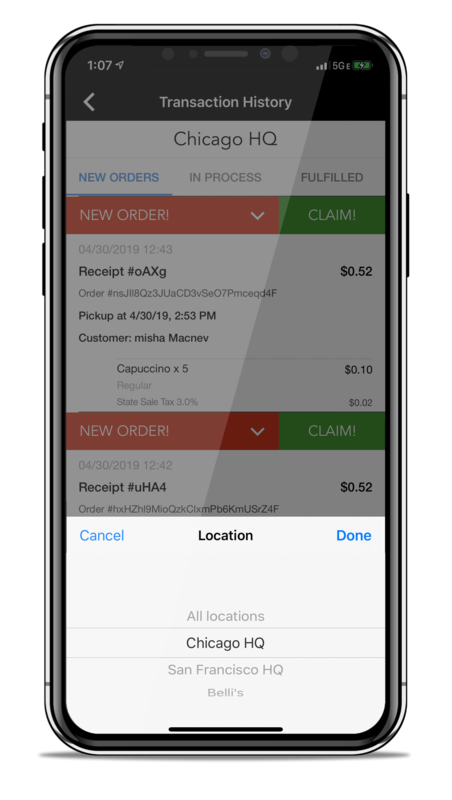 Below are screenshots of the many features we’ve built into OA4 - plus, what Square’s POS screens look like when orders come through from one of our OA4 Apps. 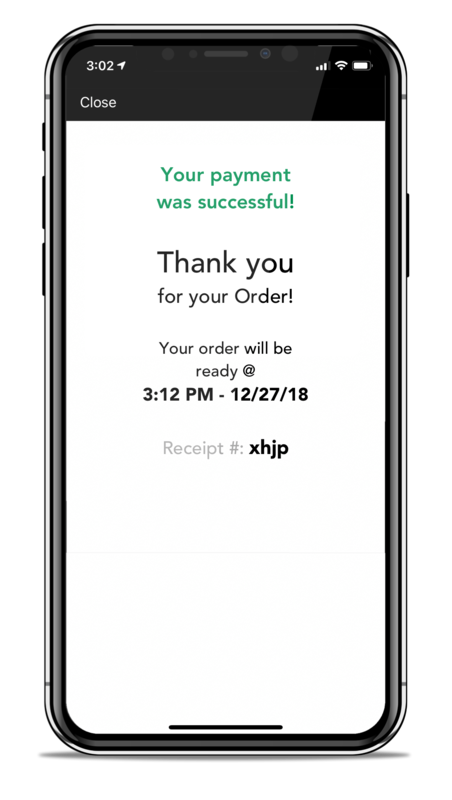 Orders from the App appear almost instantly on your Terminal screen as a popup (and printers), so you can’t miss them. 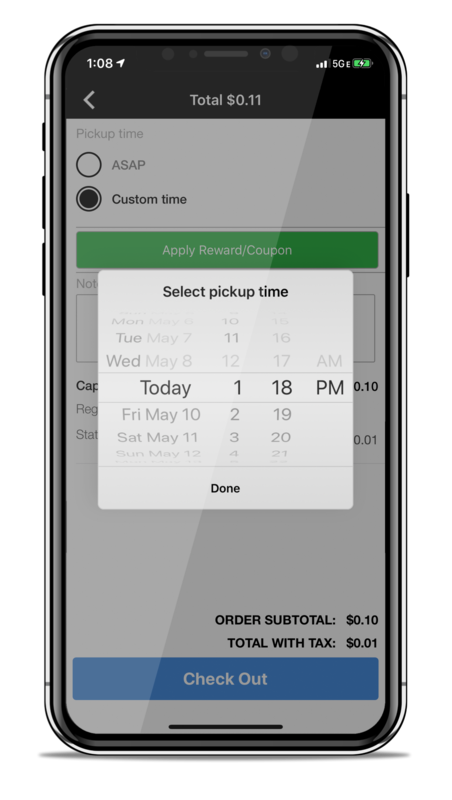 The Arriving at time is based on the Pickup Time your Customer selects when they’re checking out. 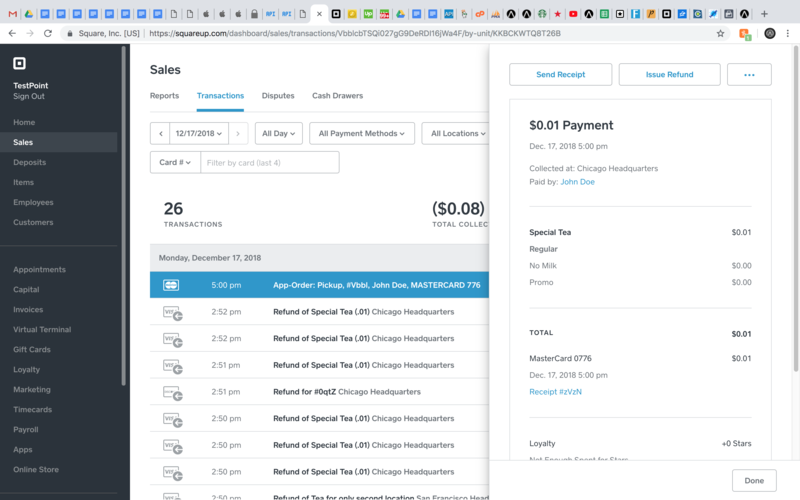 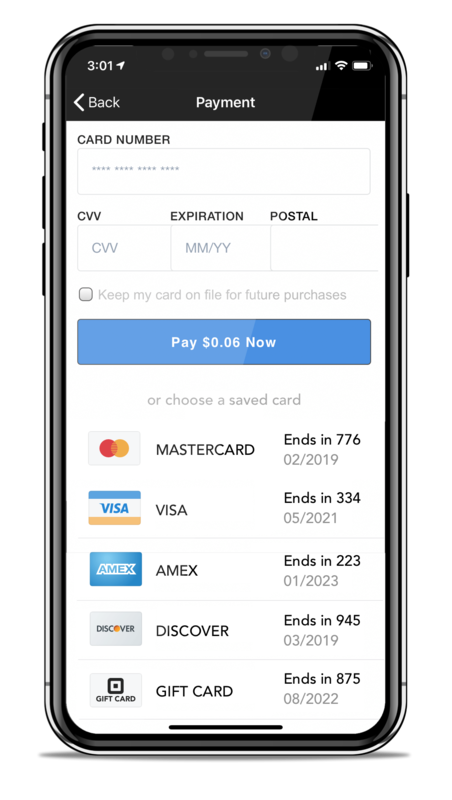 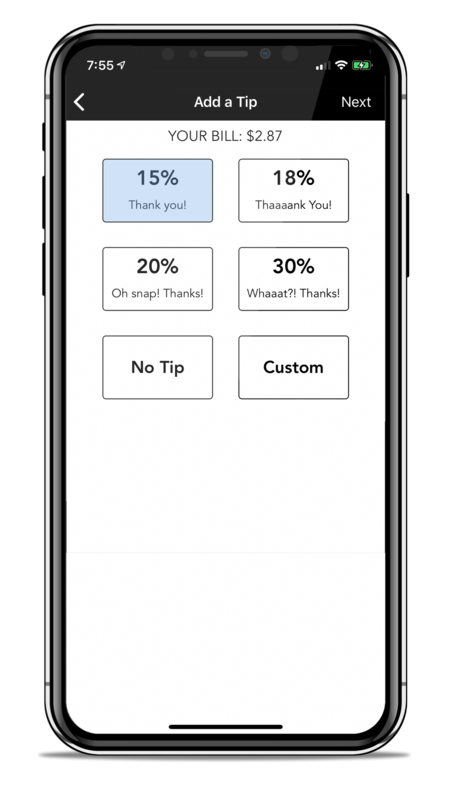 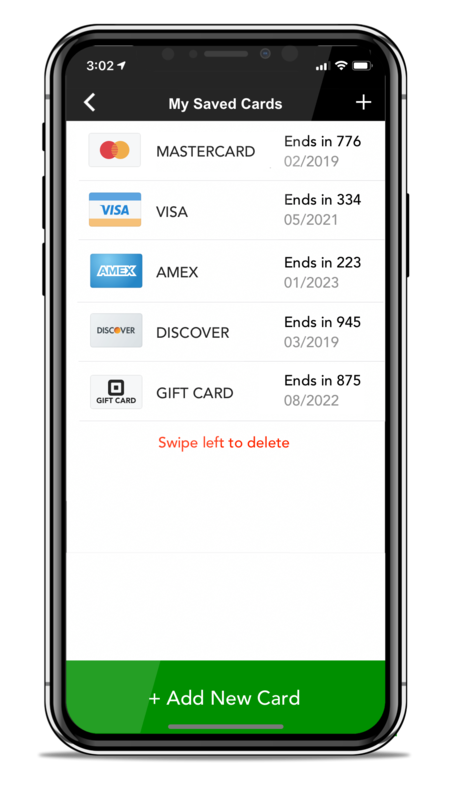 Because our solutions use Square’s own APIs directly, everything that happens in the mobile app will also be instantly reflected in your Square Account’s Online Dashboard & Reporting.